By analyzing direction-dependent frequency changes–or Doppler shifts–of energy from titanium-44, Harrison and her team discovered that most of the material is moving away from NuSTAR. The finding, detailed in the May 8 issue of the journal Science, is the best proof yet that the mechanism that triggers Type II supernovae is inherently lopsided. Ott's team uses supercomputers to run three-dimensional simulations of core-collapse supernovae. 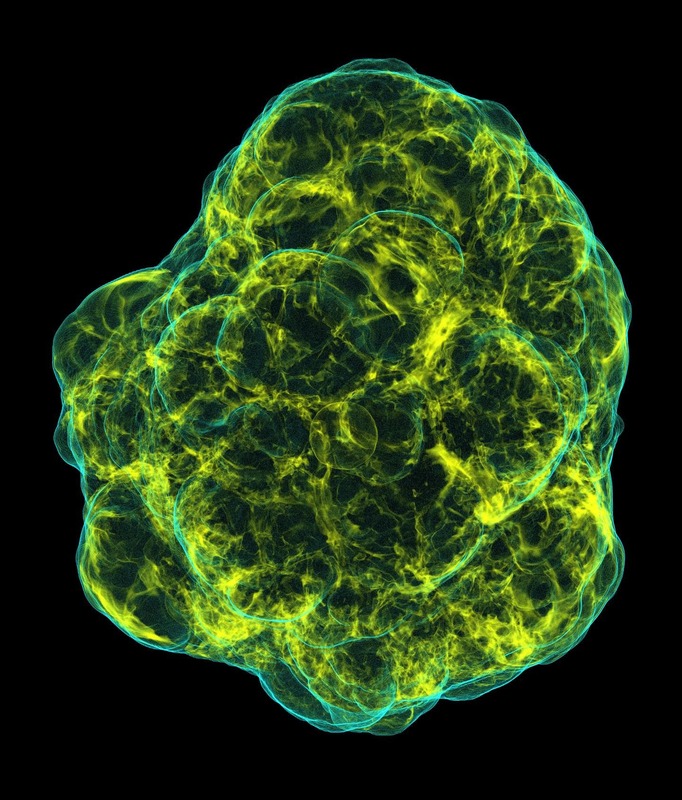 Each simulation generates hundreds of terabytes of results–for comparison, the entire print collection of the U.S. Library of Congress is equal to about 10 terabytes–but represents only a few tenths of a second during a supernova explosion. The NuSTAR findings also increase the chances that Advanced LIGO–the upgraded version of the Laser Interferometer Gravitational-wave Observatory, which will begin to take data later this year–will be successful in detecting gravitational waves from supernovae. Gravitational waves are ripples that propagate through the fabric of space-time. According to theory, Type II supernovae should emit gravitational waves, but only if the explosions are asymmetrical.